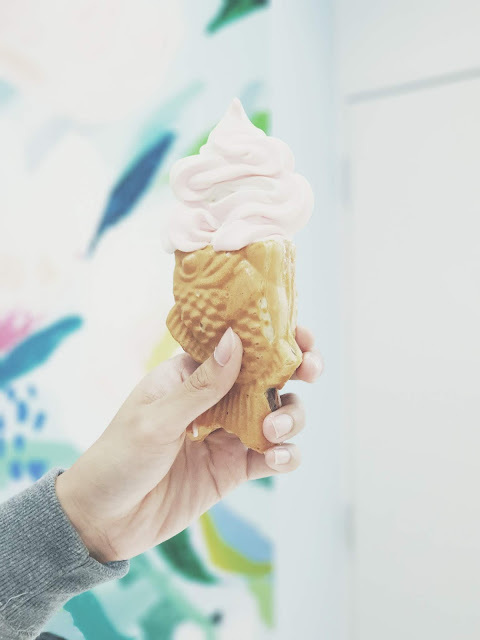 Are you a fan of ice-creams? 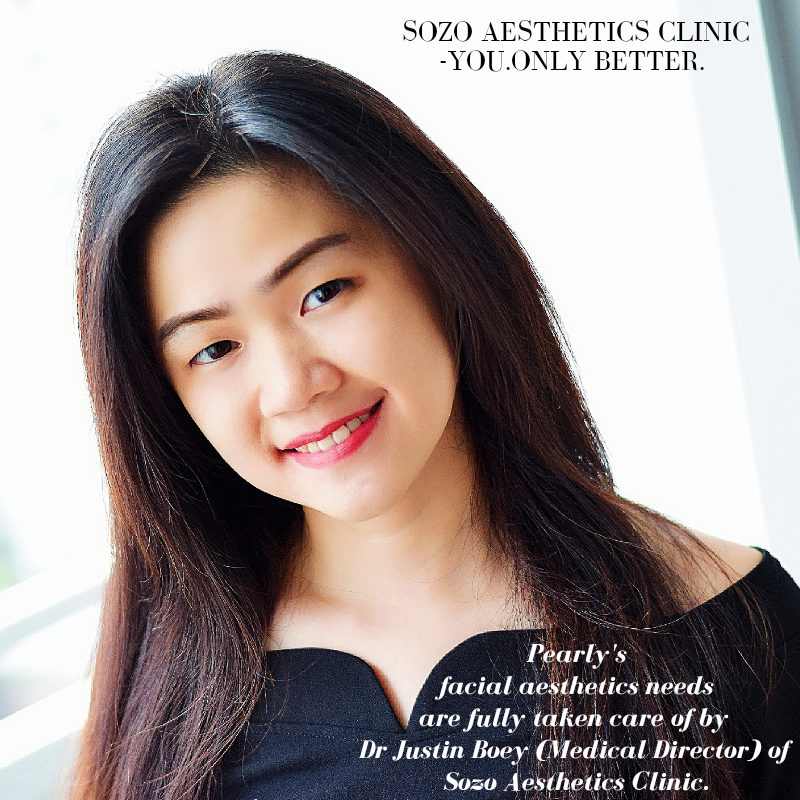 If you have answered yes, you would be so glad to know you now have another choice available. 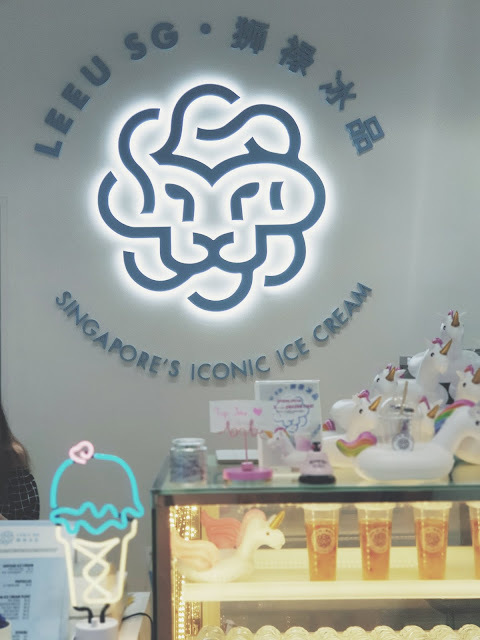 Leeu SG, a home grown artisanal ice-cream parlour founded by husband and wife team Jenn Wei Yeo and Valerie Liu have recently opened their doors to the public. 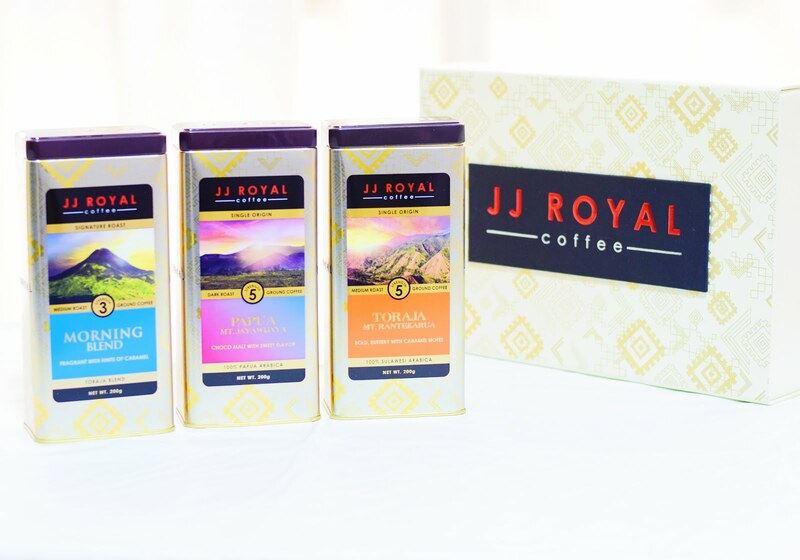 Every creation of theirs is infused with the spirit of Singapore, hand-crafted using only top grade ingredients and are made in small batches to ensure quality and consistency. Leeu is the Afrikaans word for "Lion". The duo draw inspiration from a safari adventure and were struck by the lions which they saw roaming around the Krugger National Park. 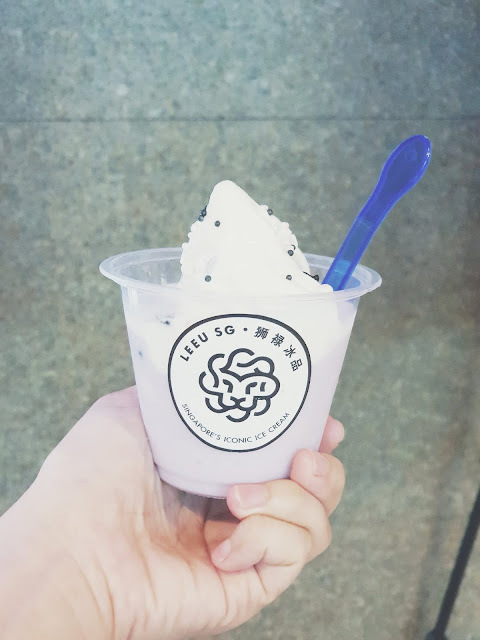 The ice-cream parlour introduces 2 star items on its menu. 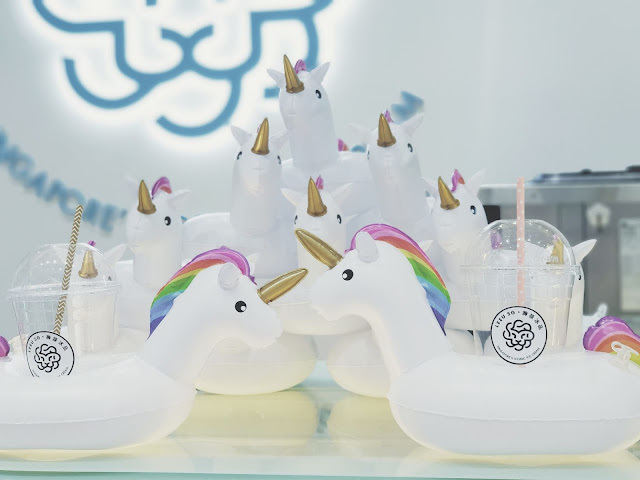 They are the Merlion Ice Pop and Esplanade Ice Cream. 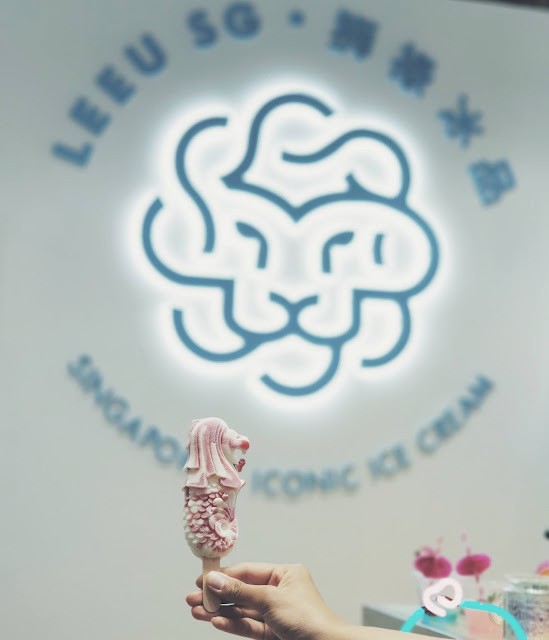 The Merlion Ice Pop is a strawberry and vanilla flavoured confection on red and white. 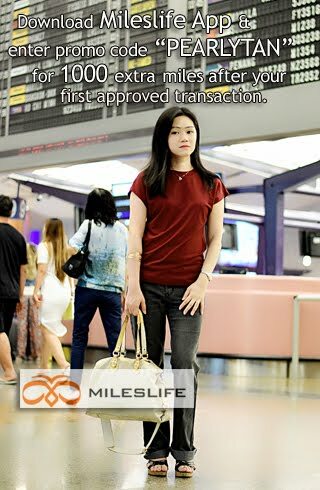 It is the one and only Merlion endorsed by the Singapore Tourism Board. Made less sweet but not compromising on the flavour. It tasted somewhat like cheese cake as described by many. 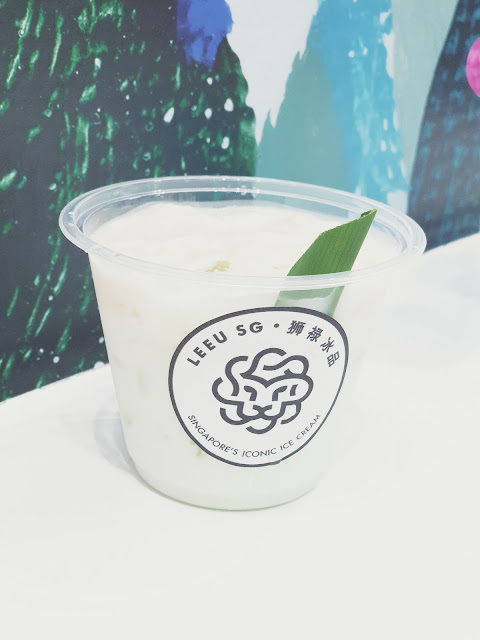 The other signature item is the Esplanade Ice Cream that is crafted from fresh durian, shaped in the image of our iconic Esplanade. 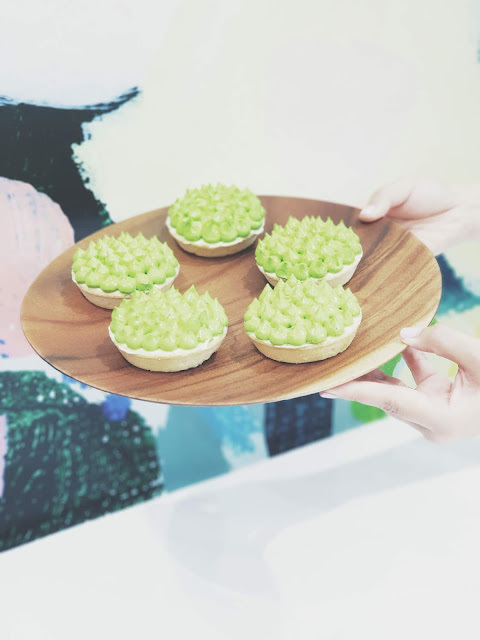 It resembles a tart but don't be fooled by its exterior, durian lovers will like this as it is made of fresh durian cream. 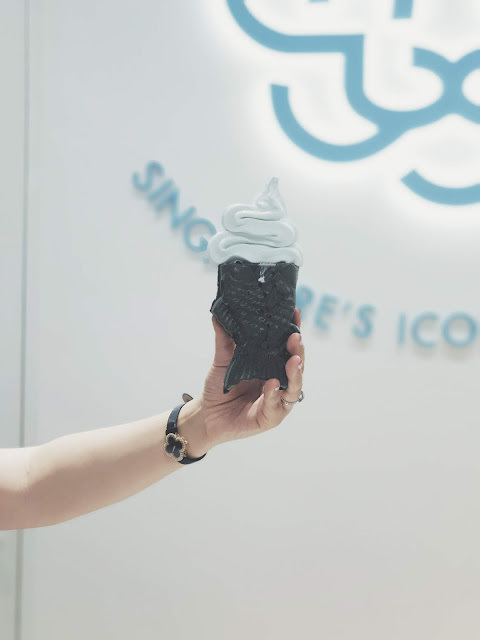 In celebration of their store's official opening, you can now enjoy the Signature Merlion Ice Pop at $3.80 (U.P $4.80) and Esplanade Ice Cream at $8.80 (U.P : $11.80). 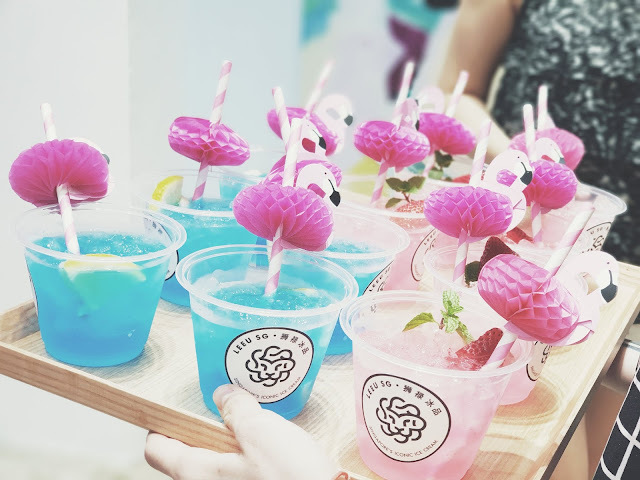 We also got to try other eye-catching item such as the striking pink and blue hued Fish Tail Soft Serve made from blue majik and waffles, soda floats The Red Dot and the Lychee-flavoured Sentosa Breeze which are refreshing and great as thirst quenches on the sunny island. 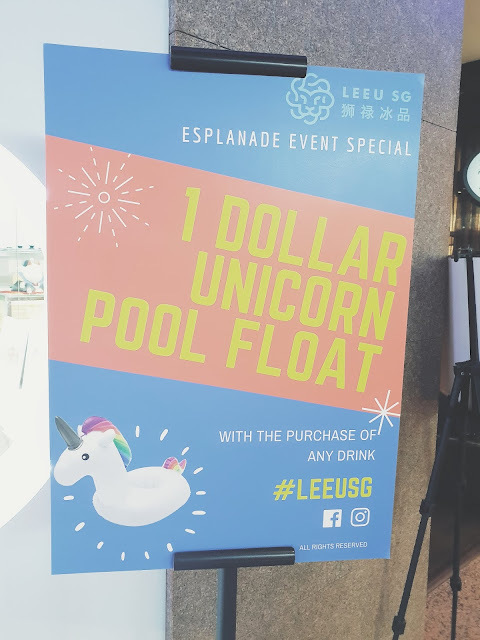 You can also purchase one of these unicorn flat at $1 with any full size beverage. 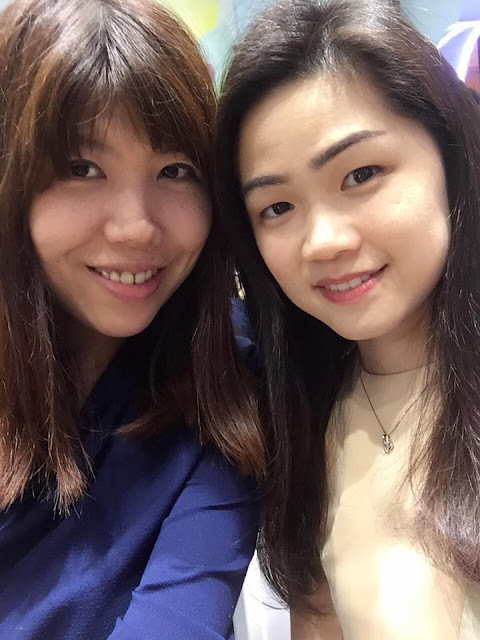 Events are also time for catching up with friends.Though we may not meet often, you girls always have a place in my heart <3 . 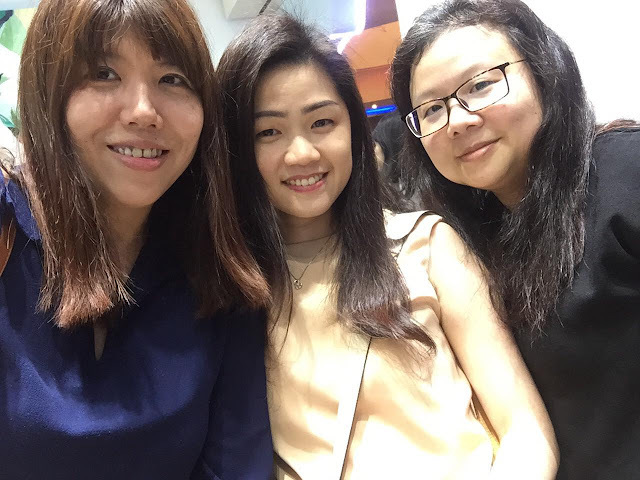 Thank you Affluence PR and Leeu SG for the invitation. 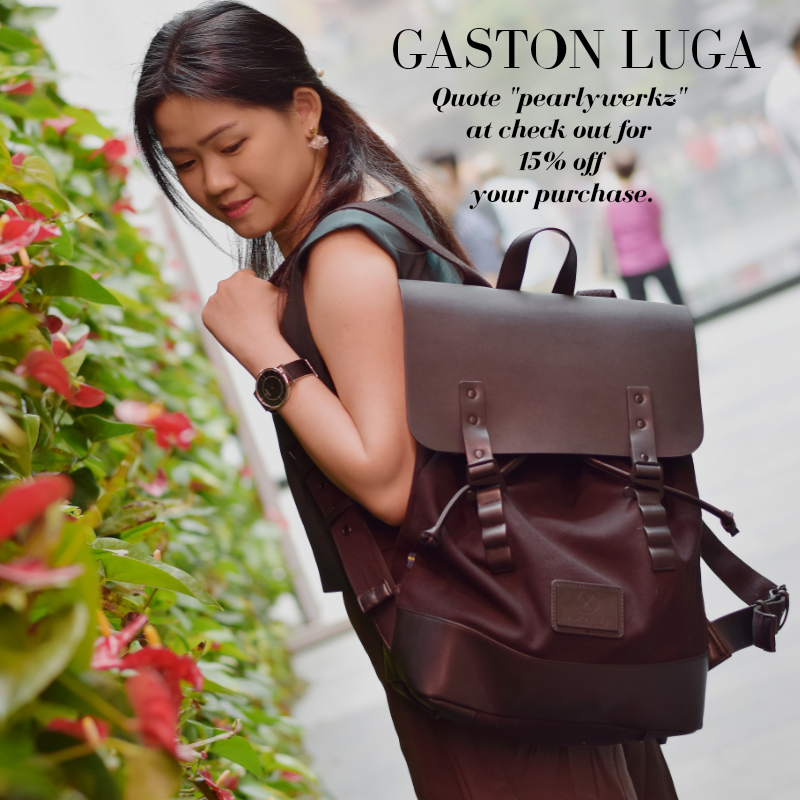 This review is 100% honest and based on personal experience. 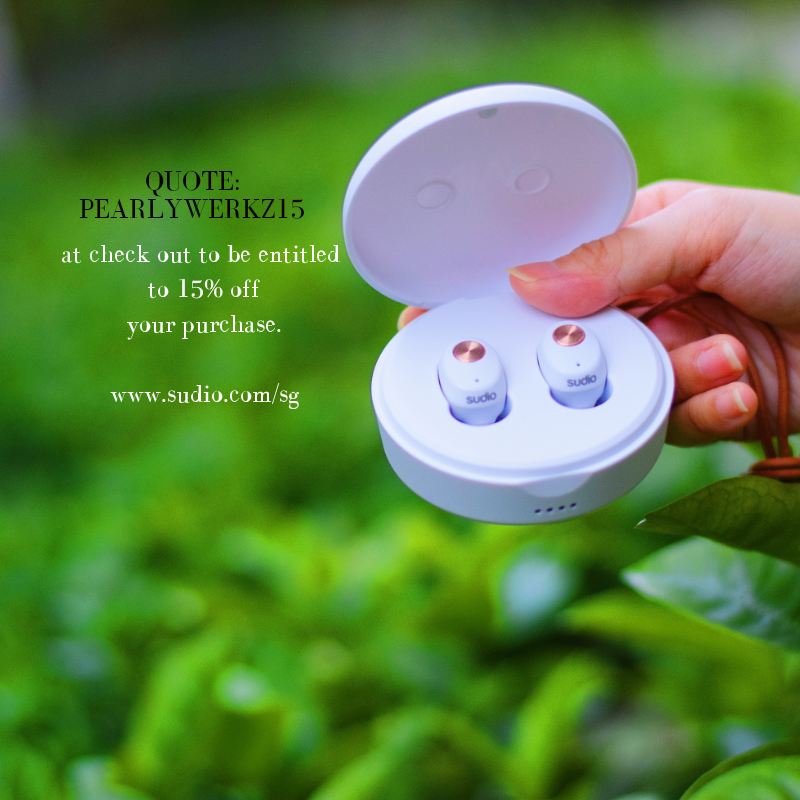 All photographs on this site belongs to the property of Pearlywerkz unless otherwise credited. Please do not take them as your own. Do ask for permission if you wish to utilize them.